Always on the lookout, they carefully eye off their targets. The ones who will fill that void that the narcissist can never fill themselves. They seek out the next person who can fill their thirst to make them appear smarter, to have control of everything and everyone and yes, to feed that over inflated ego that makes them think that they are the ultimate superior human being. When you first meet them, you can’t help but think how lovely they are as they work their well-rehearsed charm on you. But once they know they have you fooled and in their grasp, they bear their teeth and reveal their true identity? 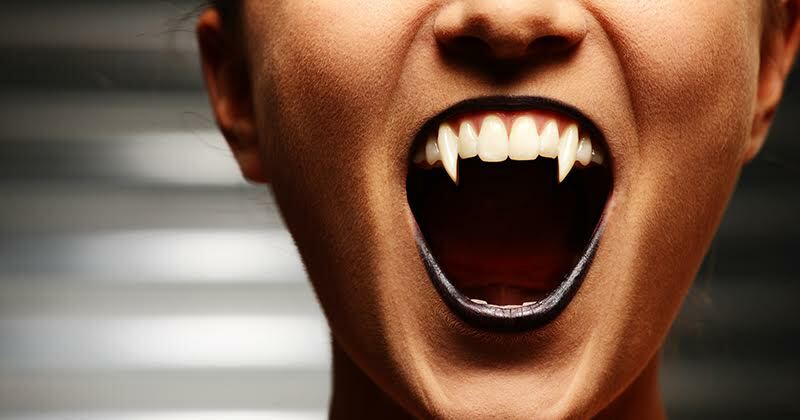 These vampires seem to have the ability to hypnotize other human beings, because they prey on virginal men and women who have not crossed their paths before and do not know the warning signs. Once the vampires have sucked everything from their now, lifeless targets, they falsely believe that they are invincible and that their power and control is unstoppable, blindly encouraging them to continue on their unrelenting journey of destruction. Unfortunately wearing garlic or hanging it above your business or home will not ward of these vampires, neither does using superheated iron crosses or exposing them to the bright rays of daylight. The only thing that will free you from these vampires, is looking them straight in the eye, walking away and never going back. Of yes, they will follow you, they will try and get revenge, they will try and intimidate you, but a vampire will always be a vampire. No amount of garlic or sun will ever, ever change that. Walk away and leave them in their darkness and their fake world where they belong.